Ideally you can find a whole-system health practitioner in your area to consult with about your NDS or other genetic report. It’s important to have someone with medical knowledge and an understanding of your health problems. Genetics is one leg of the three-legged stool that makes up a health evaluation. The other legs are health history and physical exam. Unfortunately, professionals with an understanding of genetic health reports are rare. Advanced training in the effects of gene variations on health. It’s not a matter of running questionable statistics about your risk of Alzheimer’s, heart disease, or diabetes – epigenetics has proven that routine incorrect. Far better to have information on what your genes do and how to optimize their function. Training in personalized lifestyle medicine. 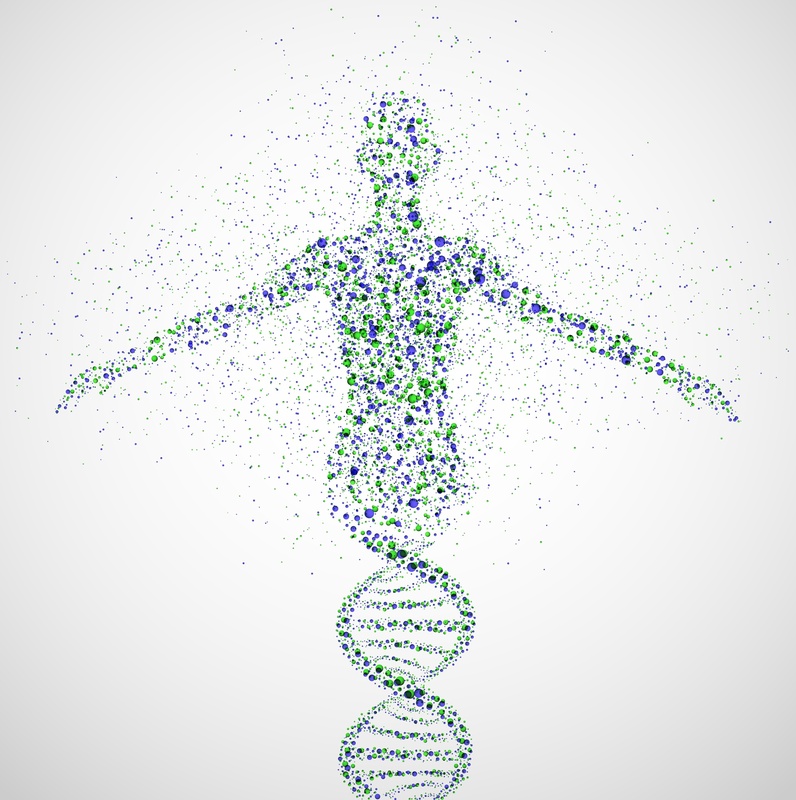 The message of your genes is not “Give me drugs”, it’s “Nurture me.” We have thousands of genes coding for or relying on nutrients to function optimally. At the same time, our daily activities such as exercise, meditation, massage, and relaxation have been shown to calm overactive “bad” genes. Finally, we have hundreds of genes responsible for taking out the trash: detoxification. It’s these three therapies: Detoxification, Nutrition, and Activity that are the D.N.A. for turning on your “good” genes and turning off the “bad” ones. This is what a whole-system doctor can provide for you. Dr. Ballard has limited space available for remote consultations. They are a combination of email and Skype appointments. You can read more about him by clicking on Dr. Ballard page..
All remote consultations must be paid for in advance. We have available a comprehensive consultation regarding your past health history, supplements, medications, and DNA with concrete therapeutic suggestions based on my 30+ years of whole-system experience. The Comprehensive Consultation takes place in three parts. The reason for this is that DNA alone cannot make a diagnosis; it must be combined with health history, physical exam, and other laboratory tests that I will review before we meet. Fill out a 20+ page health questionnaire and email it to Dr. Ballard. Email a list of your medications and supplements including brand names, potency and how often you take them. Email copies of your lab results for the past five years. Dr. Ballard will analyse this material before your Skype appointment. 2. Dr. Ballard will contact you by email with questions, requests for additional information, and possibly some home testing such as pH, daily temperature, and digestive analysis. 3. A 50 minute Skype or phone meeting with Dr. Ballard to discuss your health history, genetics, and treatment options. If you prefer, this session can be conducted by email. Notice: While no one other than Dr. Ballard is authorized to use his Gmail and Skype accounts, Gmail and Skype do not meet federal HIPPA guidelines for medical privacy. If you choose to sign up for Dr. Ballard’s consultation services, you are agreeing to transfer your medical information over services that are not HIPPA compliant. Download the two PDF files. A list of your medications and supplements including brand names, potency, how often you take them, and for how long you’ve been taking them. Copies of your lab results for the past five years or from when you were first diagnosed with your condition. A list of days and times you’re available for a 45 minute Skype consultation. Also note your time zone. Once he has studied your health history, Dr. Ballard will contact you by email to schedule your Skype/Phone session. Click button below to pay for your Comprehensive Consultation. 1. Email: Send Dr. Ballard your questions by email. He will respond to you by email. These exchanges are limited to 30 minutes of Dr. Ballard's time for reading and responding. 2. Skype or Phone Session: Dr. Ballard will meet with you to answer your questions on Skype or by phone. After paying for your Skype/phone session, send an email to [email protected] with "Skype (or phone) Session" in the subject line. Tell him when you paid, where you are, your time zone, and a range of dates and times for us to meet. He will reply to you by email to set up the session. Price: $75 for time not to exceed 30 minutes.